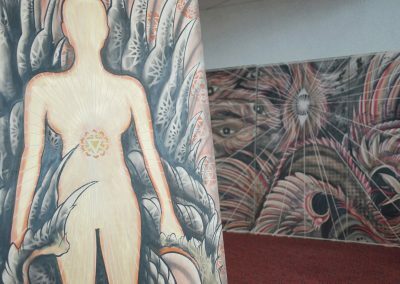 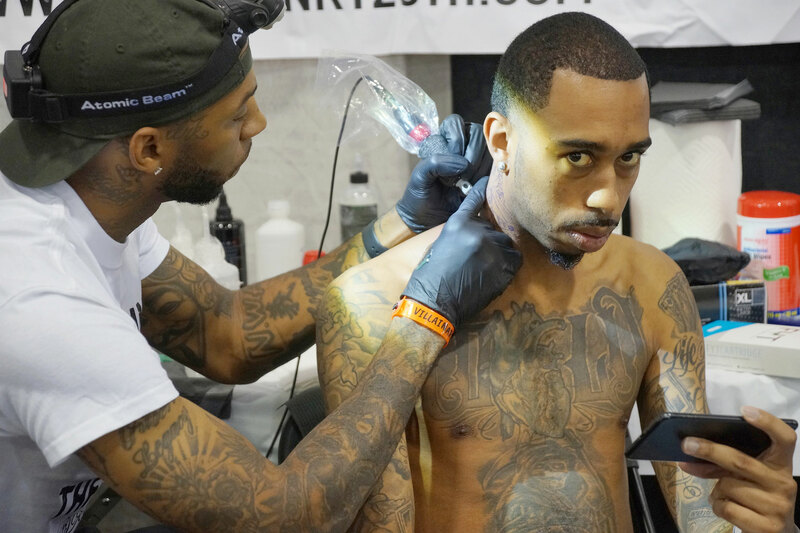 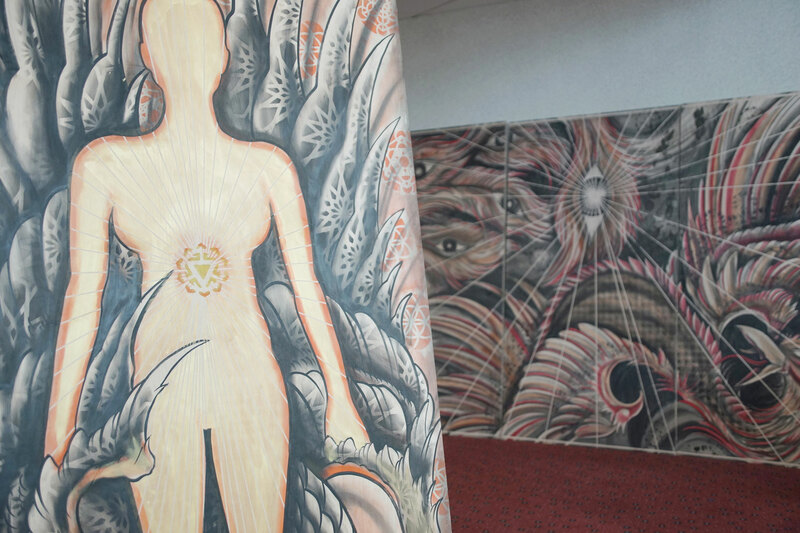 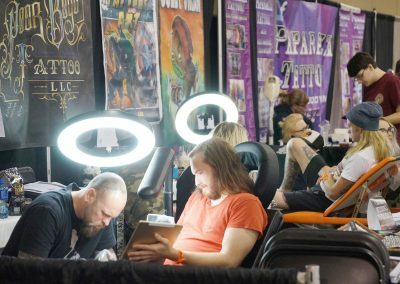 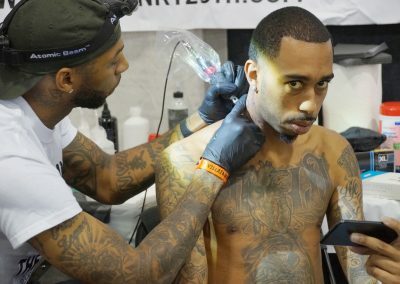 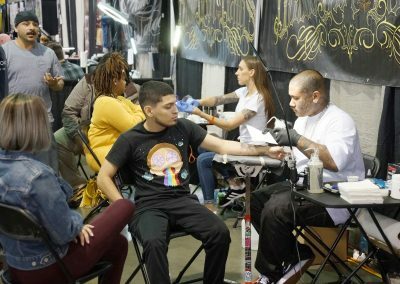 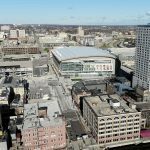 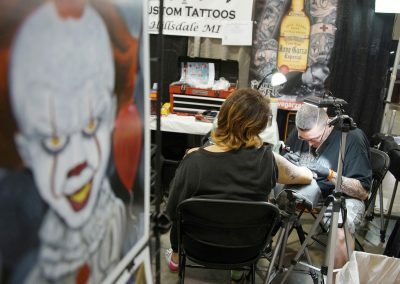 People who use their skin as a living canvas for art to be painted on filled the Wisconsin Center and flowed into the streets of downtown over the September 21 weekend, as the annual Milwaukee Tattoo Arts Convention celebrated its 9th year. 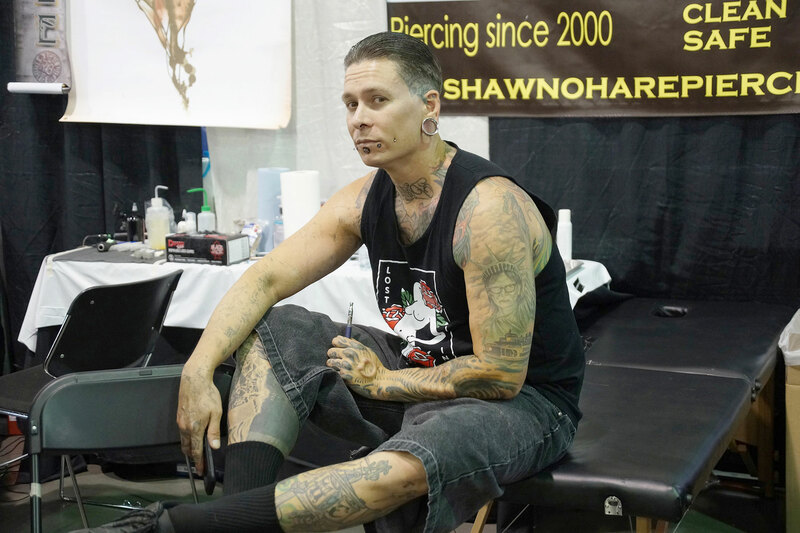 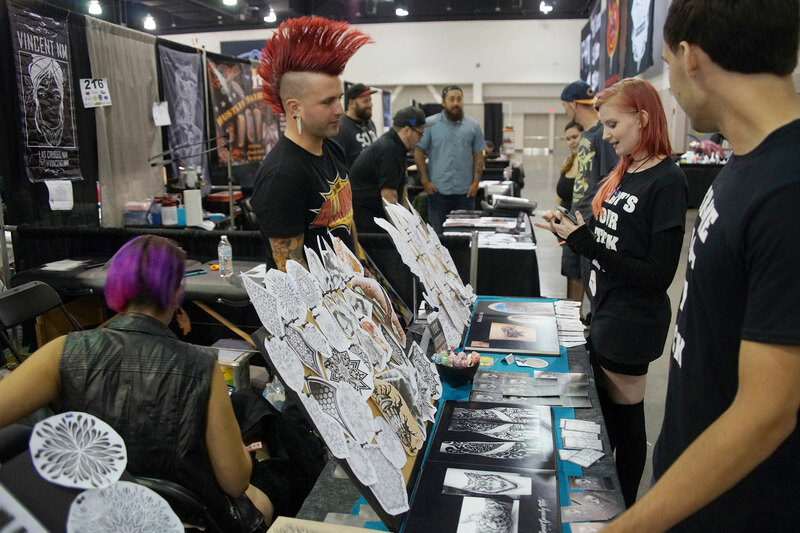 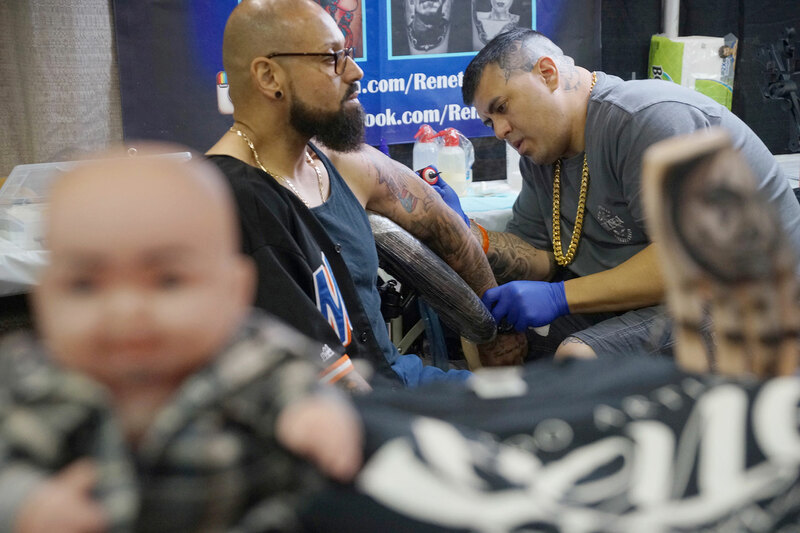 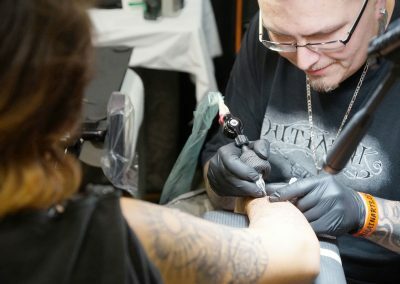 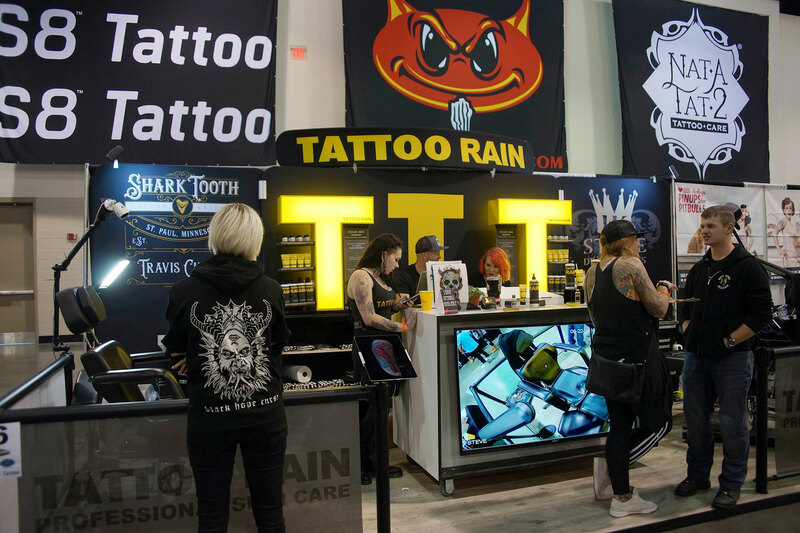 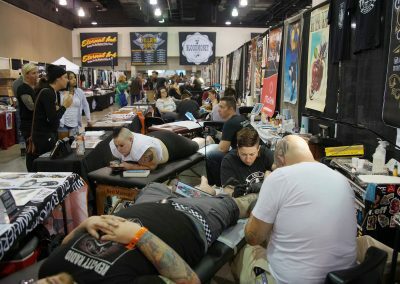 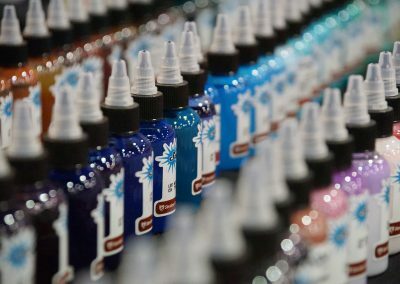 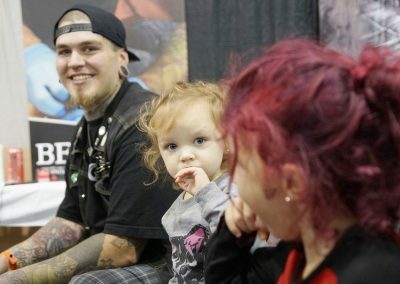 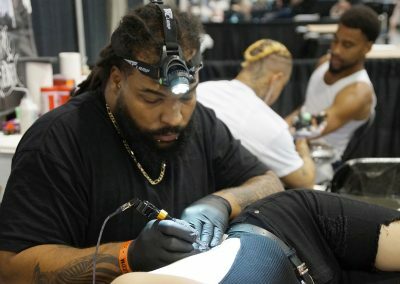 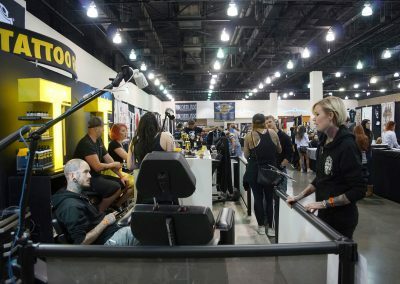 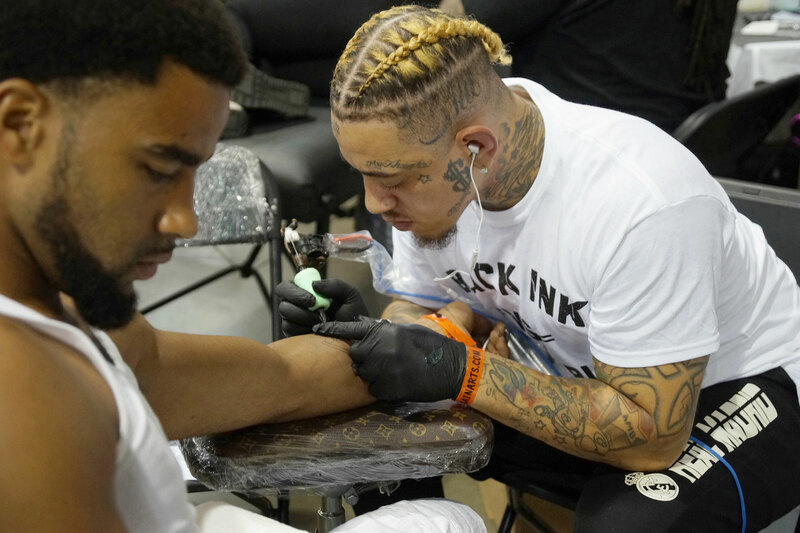 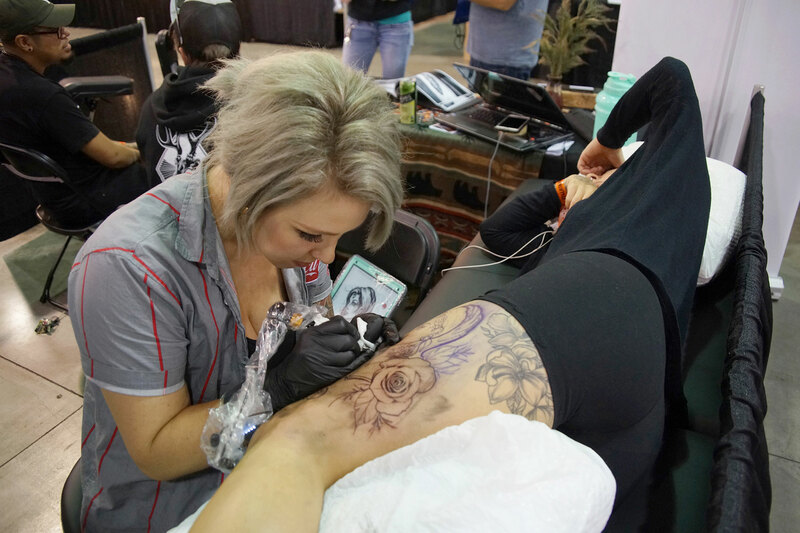 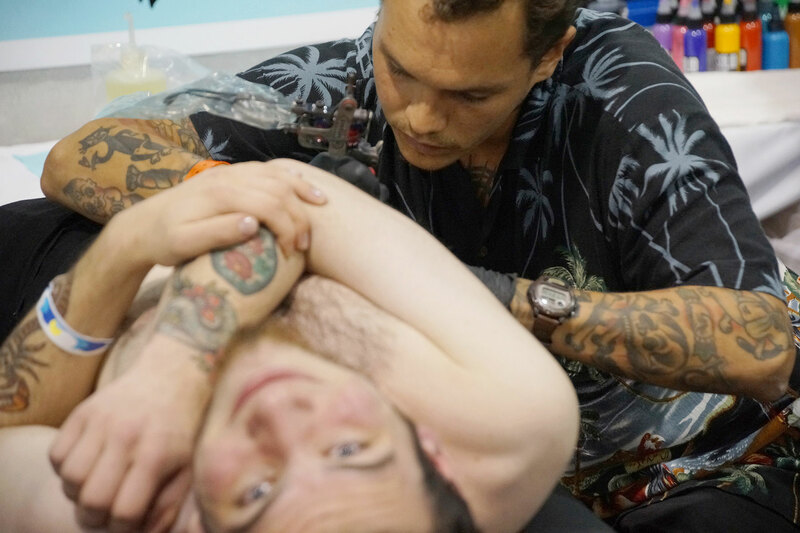 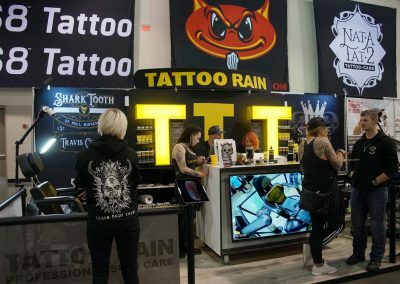 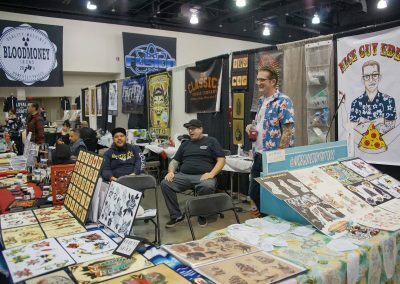 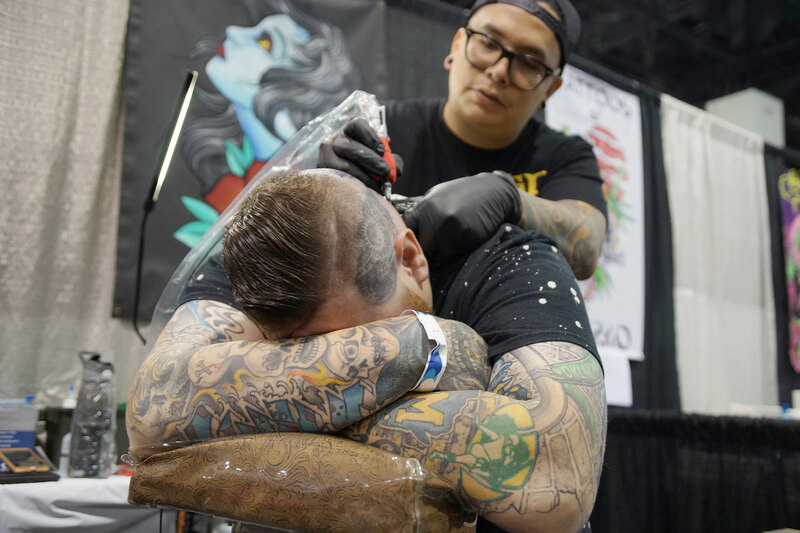 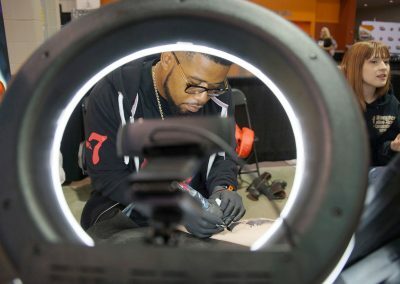 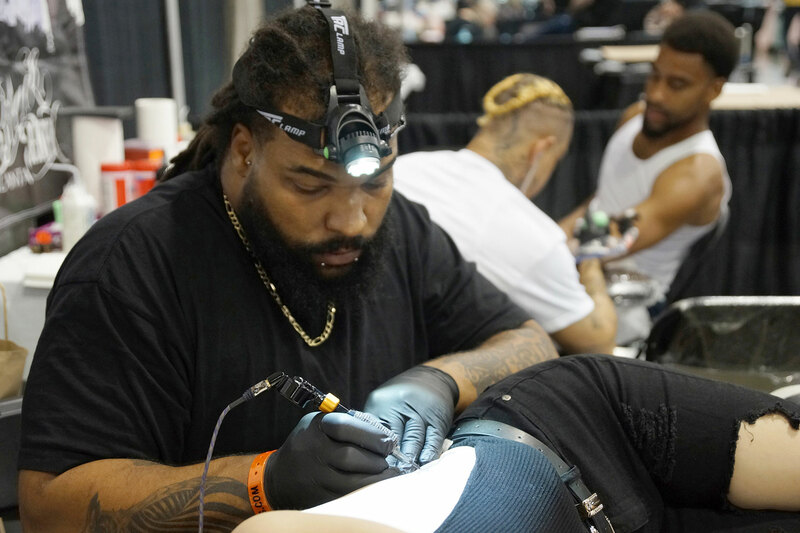 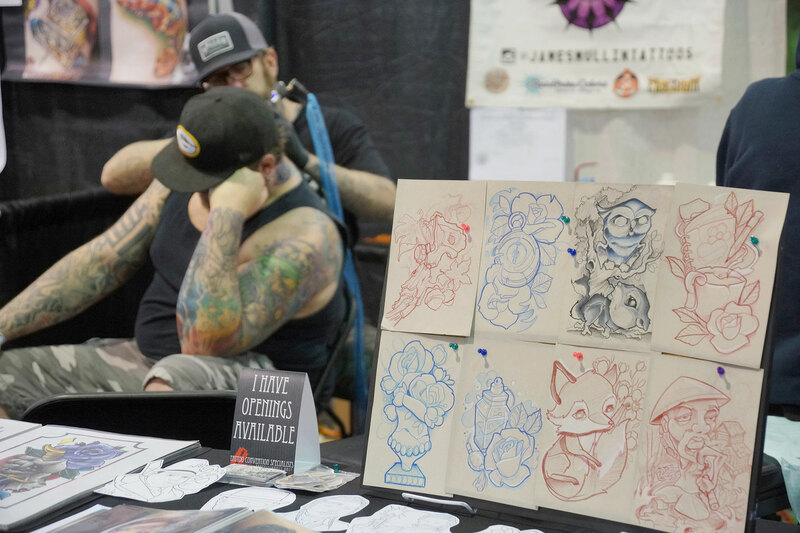 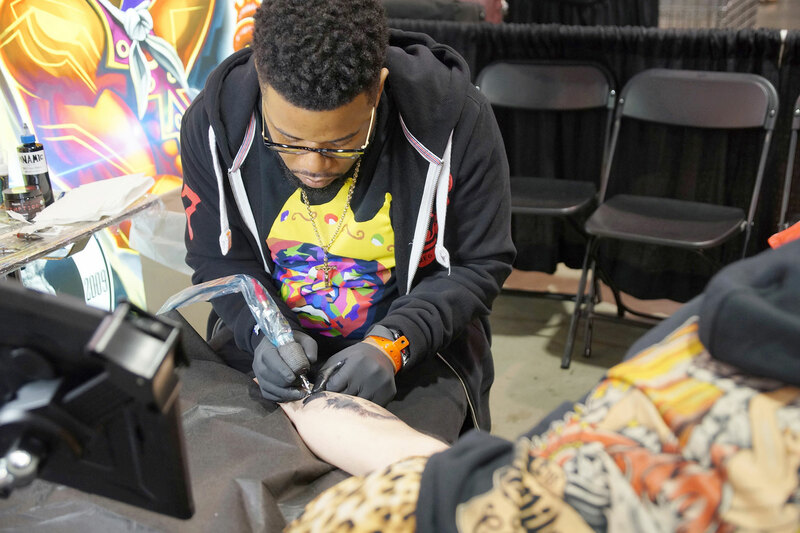 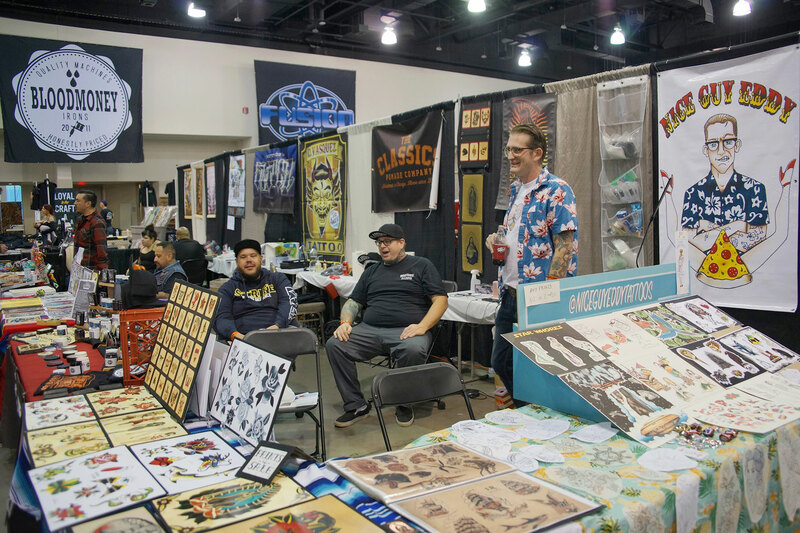 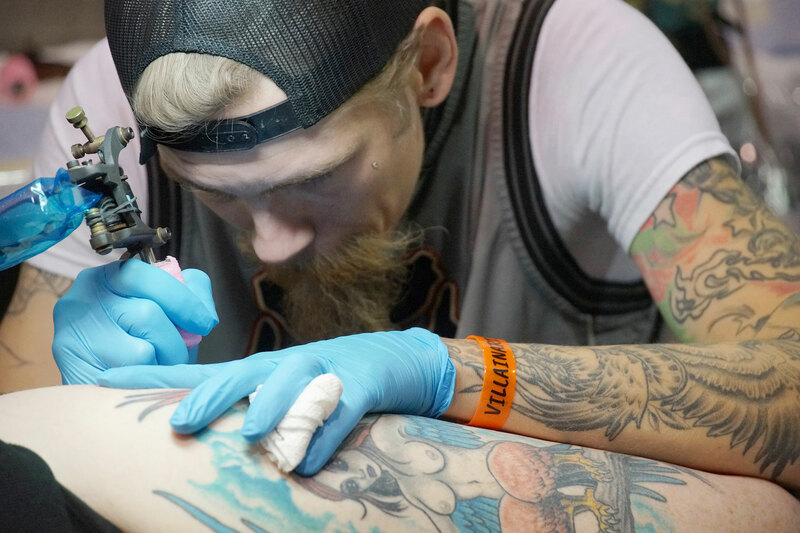 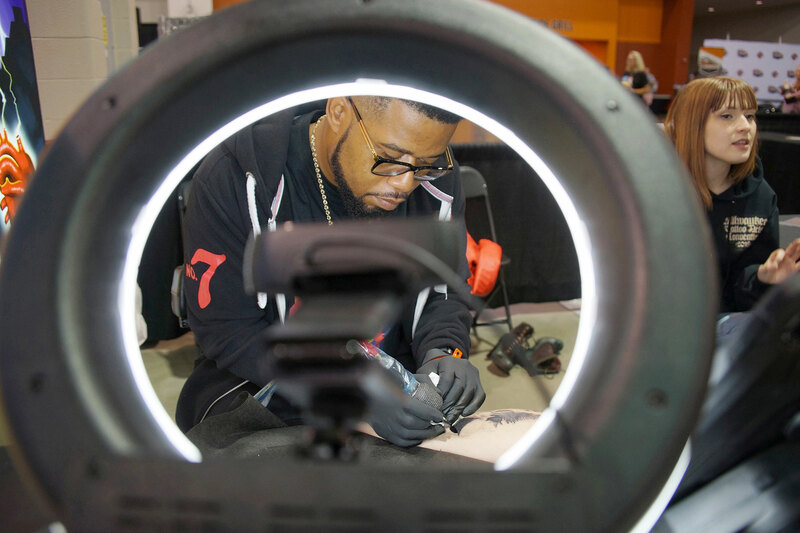 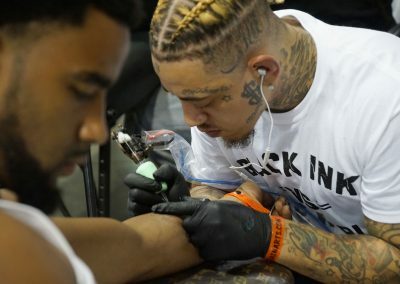 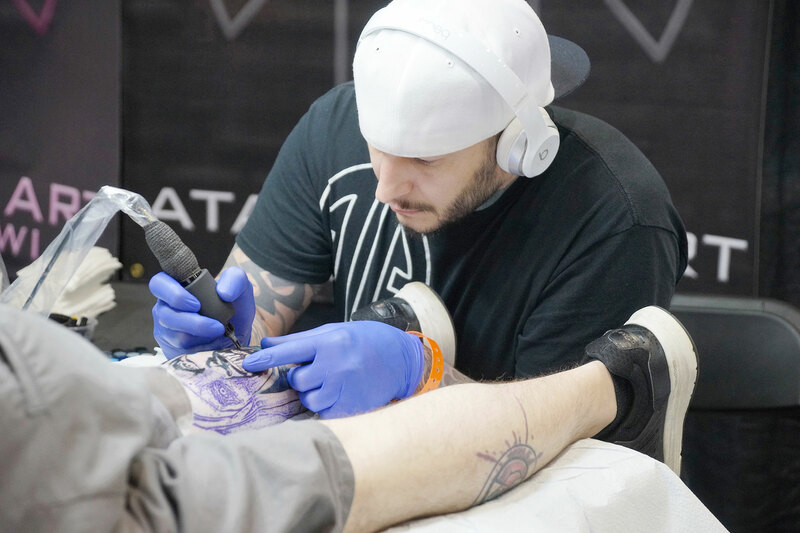 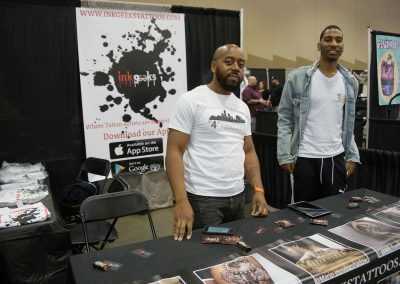 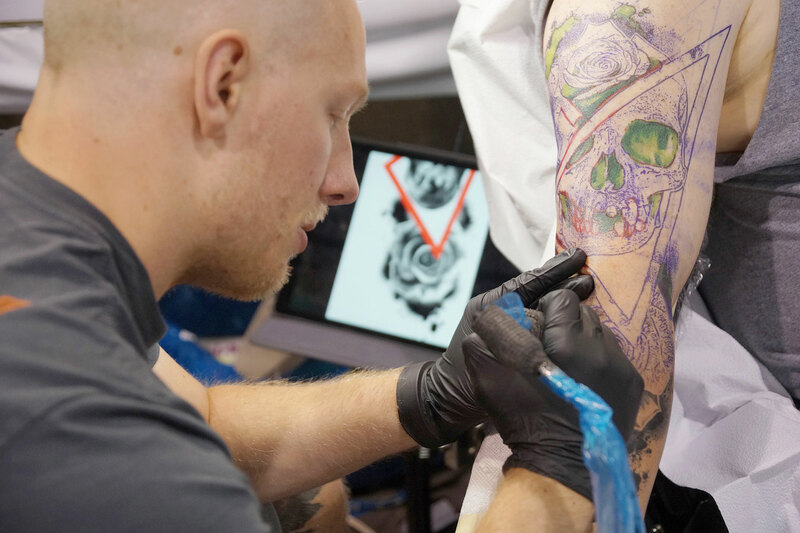 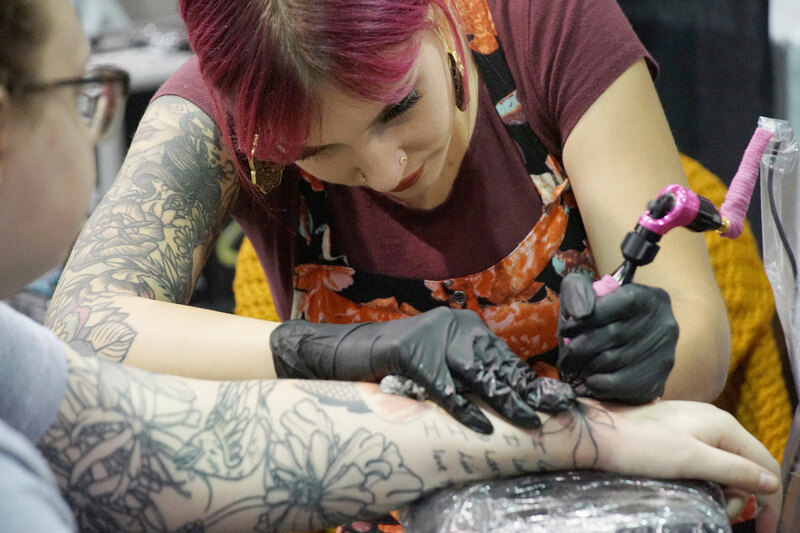 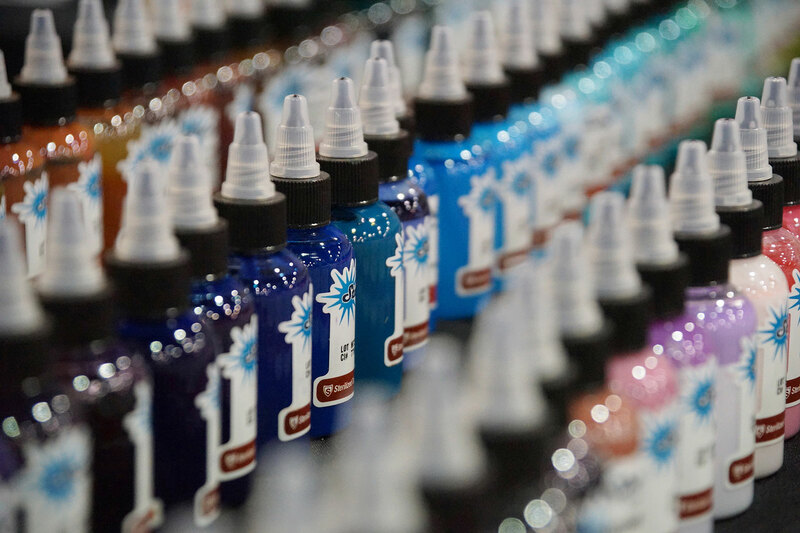 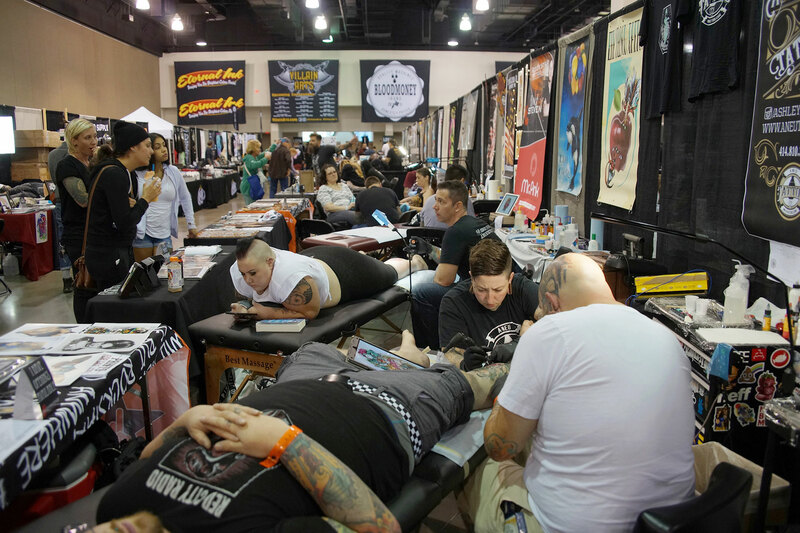 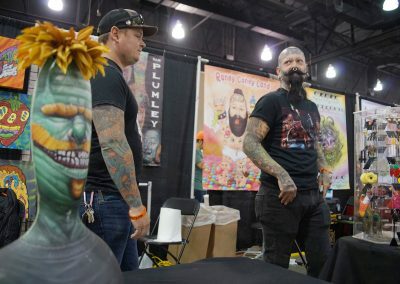 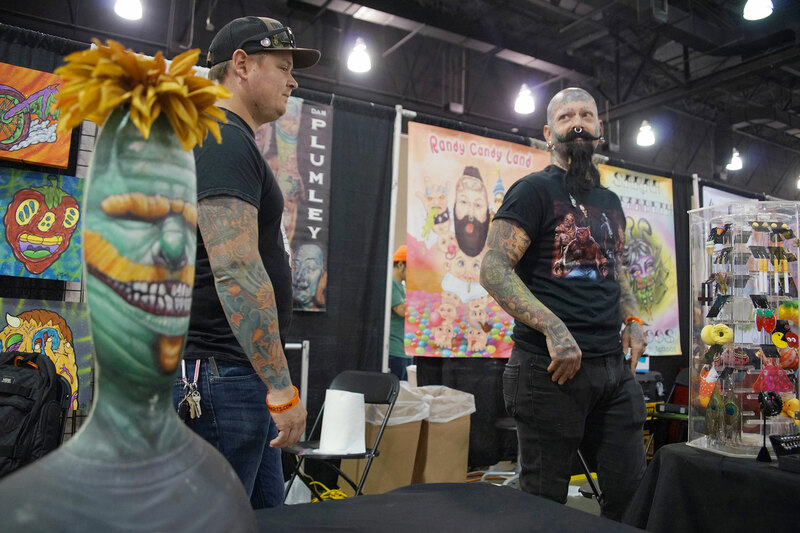 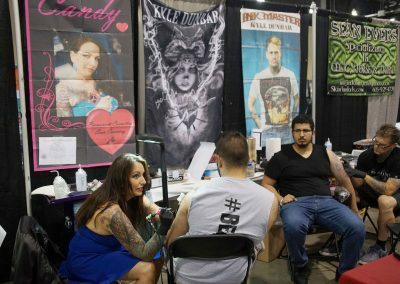 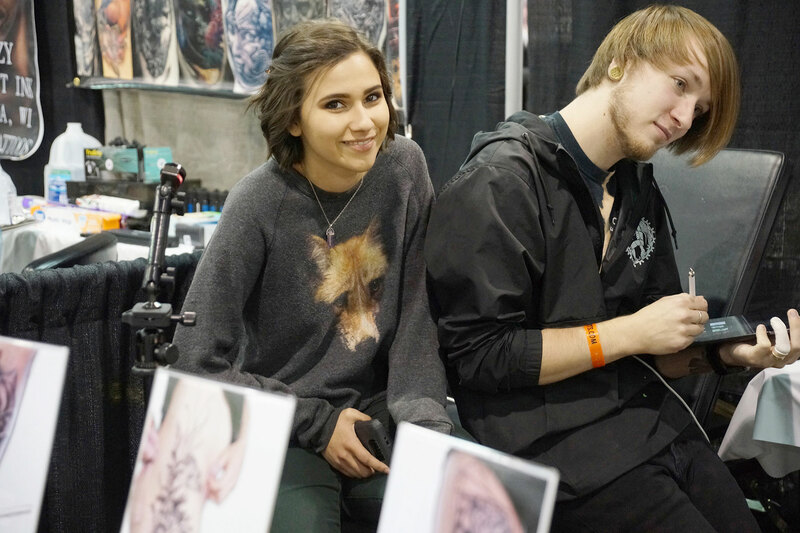 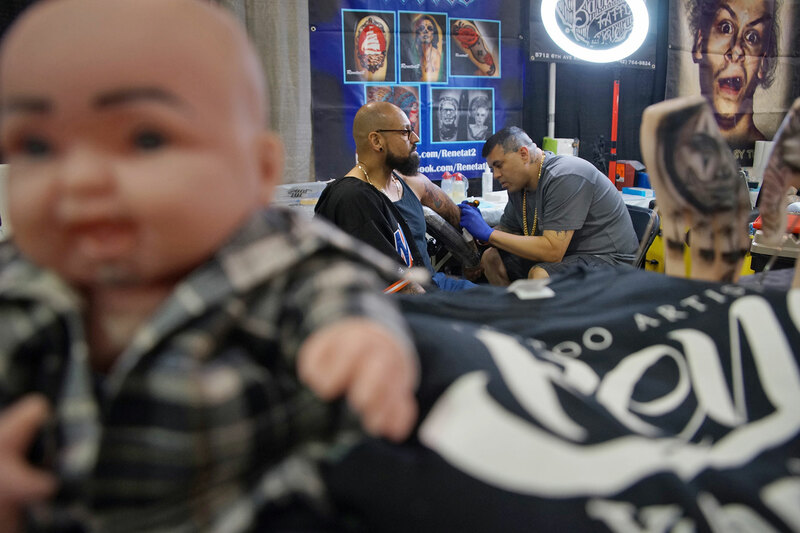 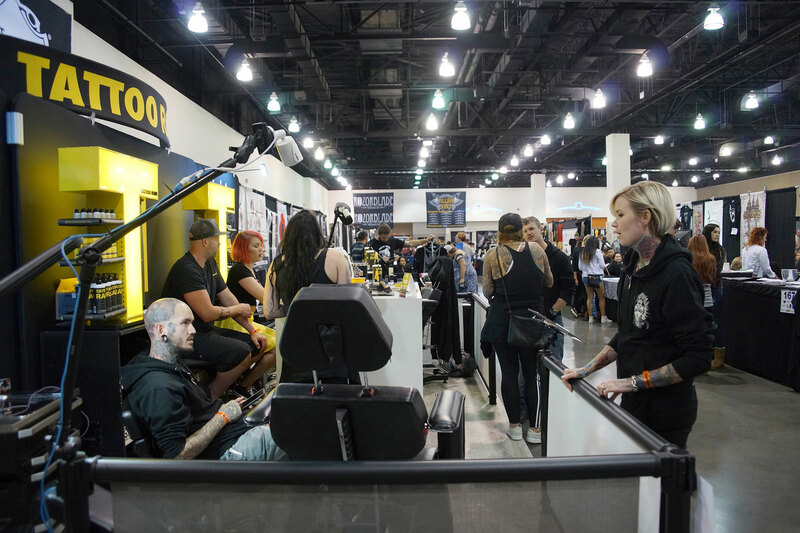 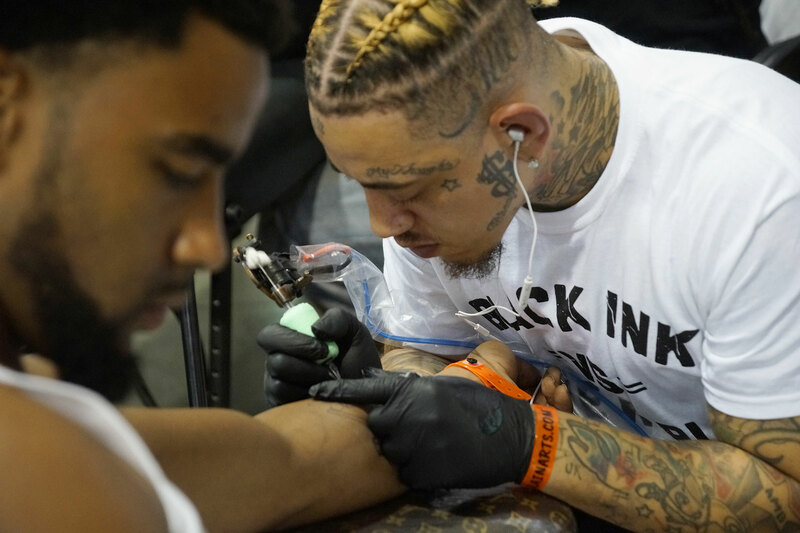 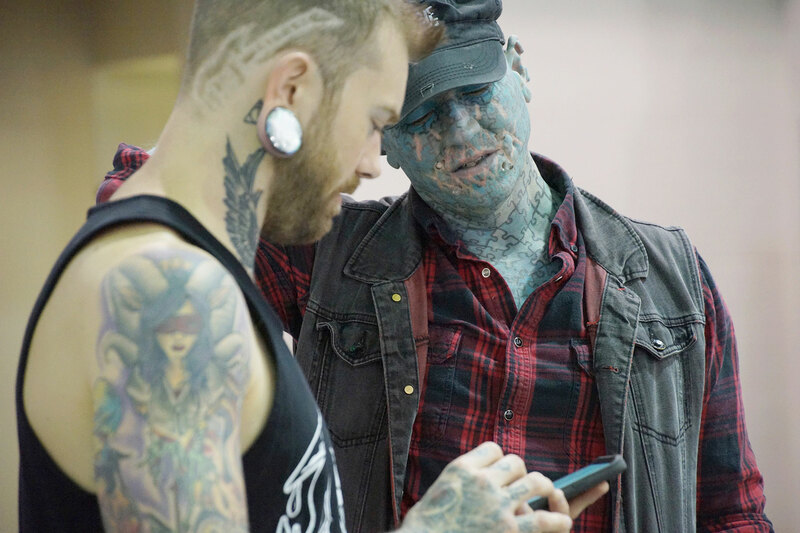 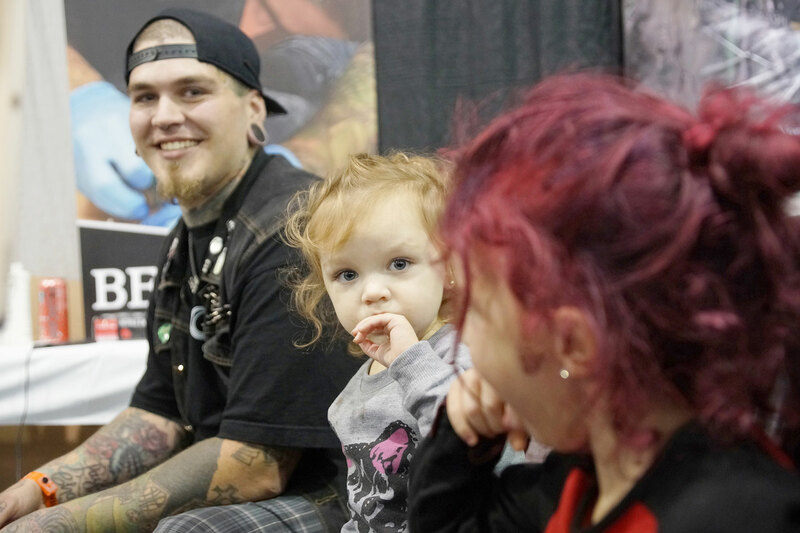 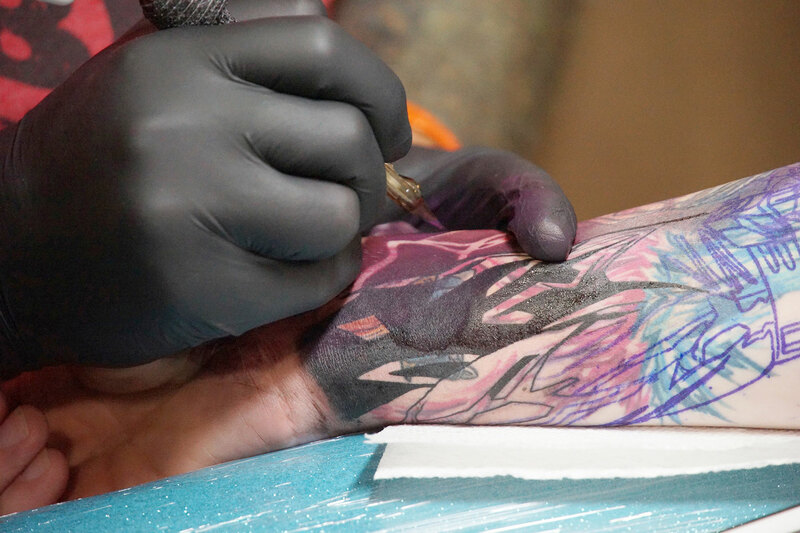 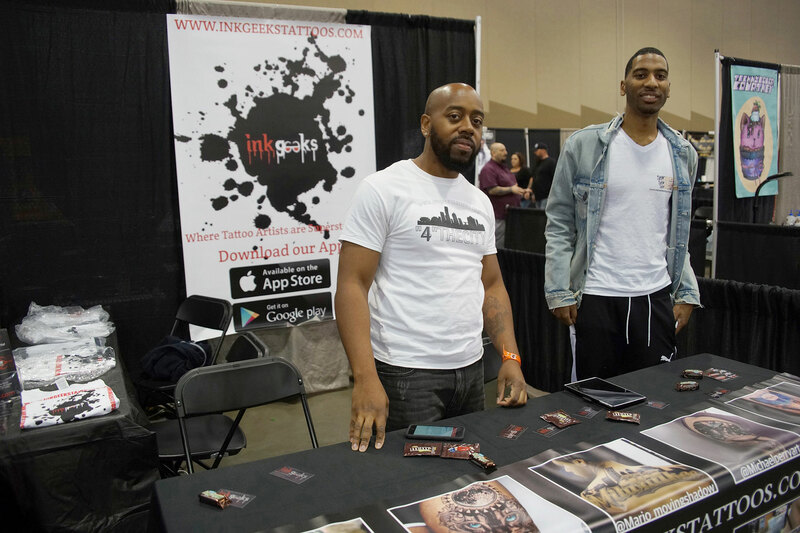 Kyle Dunbar, a tattoo artist featured on seasons three and four of reality television series “Ink Master,” has come to the convention every year since it started. 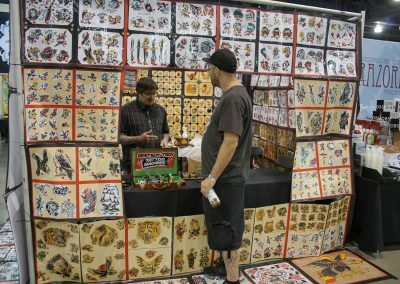 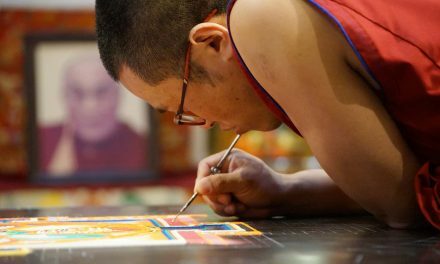 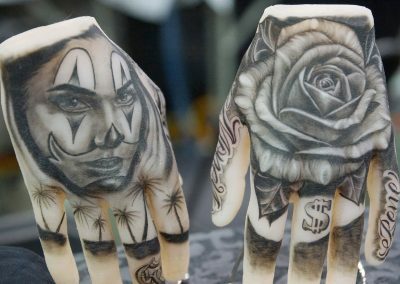 He said he has done a wide variety of unusual tattoos – but the convention is about more than just tattoos. 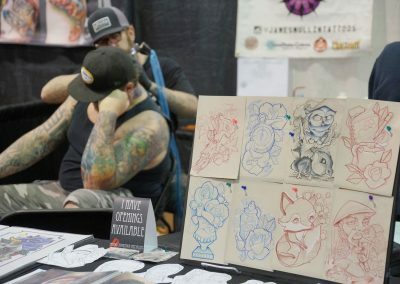 The convention also attracted some out-of state-artists. 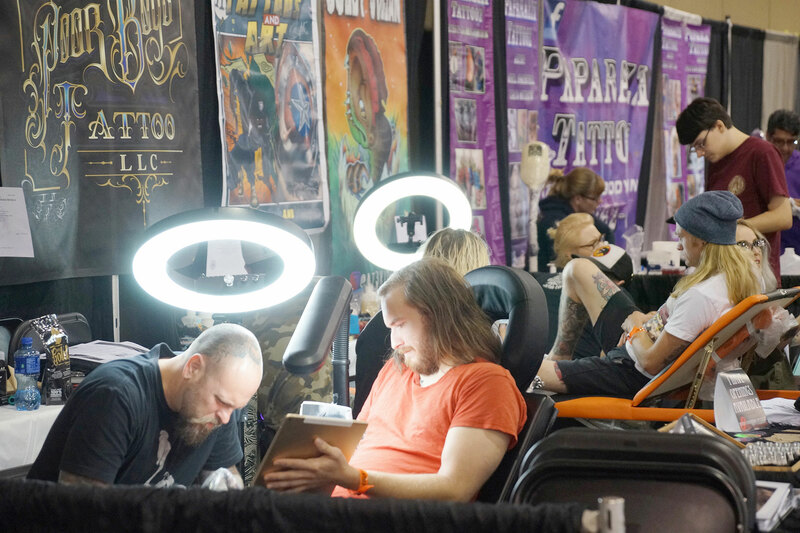 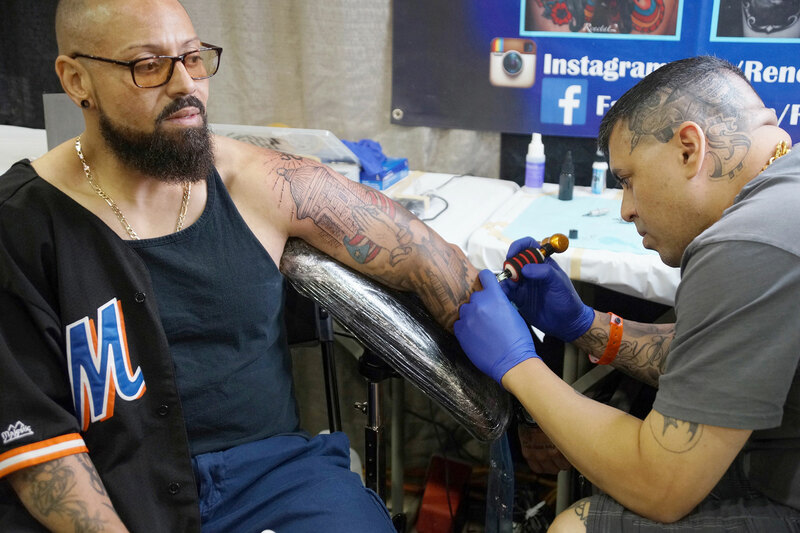 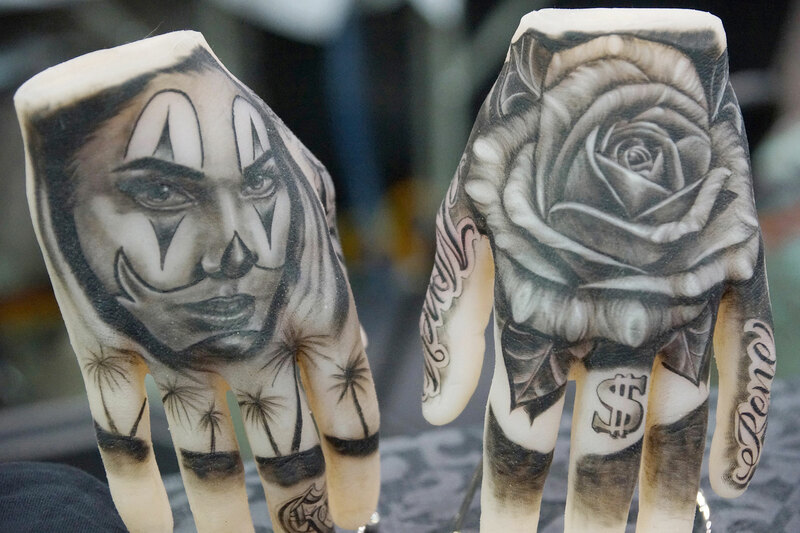 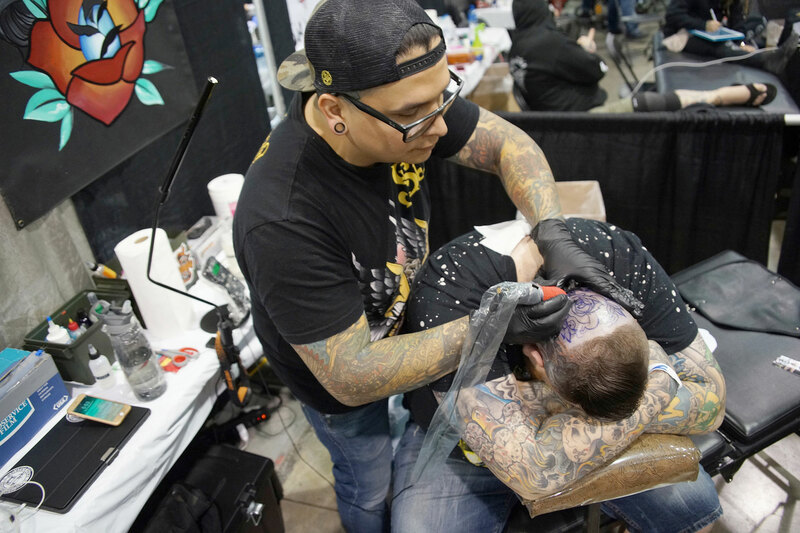 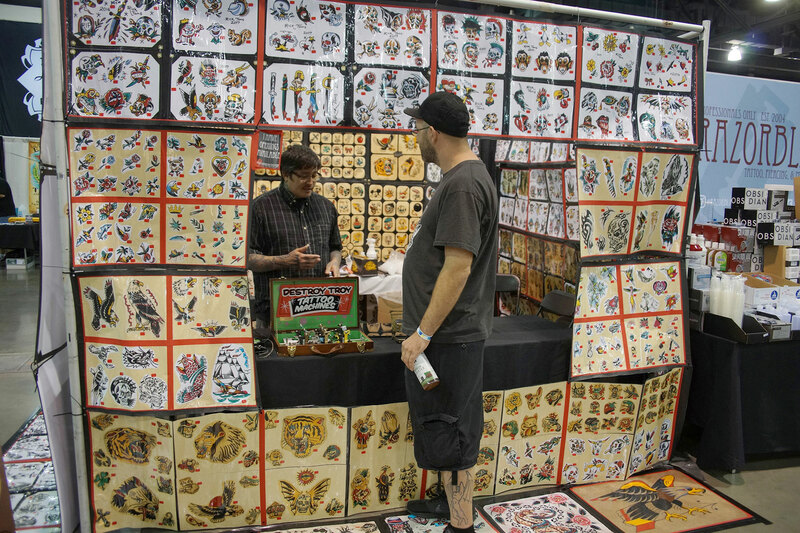 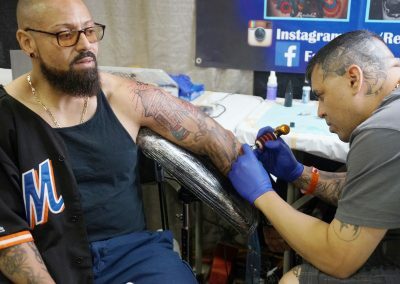 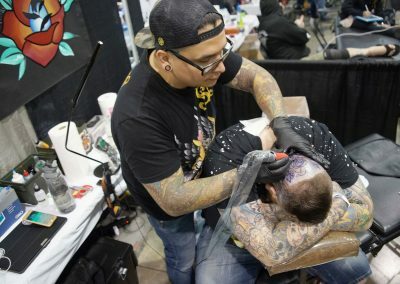 Jove Garza of Outlaw Ink Custom Tattoos in Hillsdale, Michigan, has been tattooing for 15 years and was drawn to the Milwaukee Tattoo Arts Convention after hearing of it when he visited Chicago. 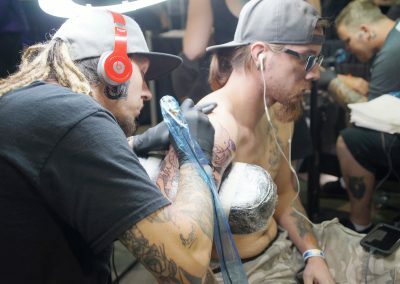 He said he is passionate about tattooing and finds gratification in all of the pieces he does. 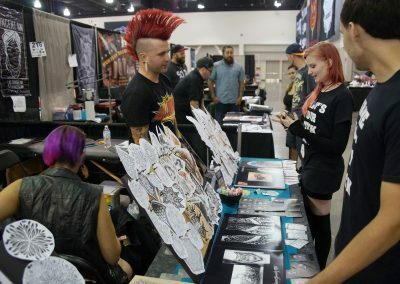 The convention also attracted locals. 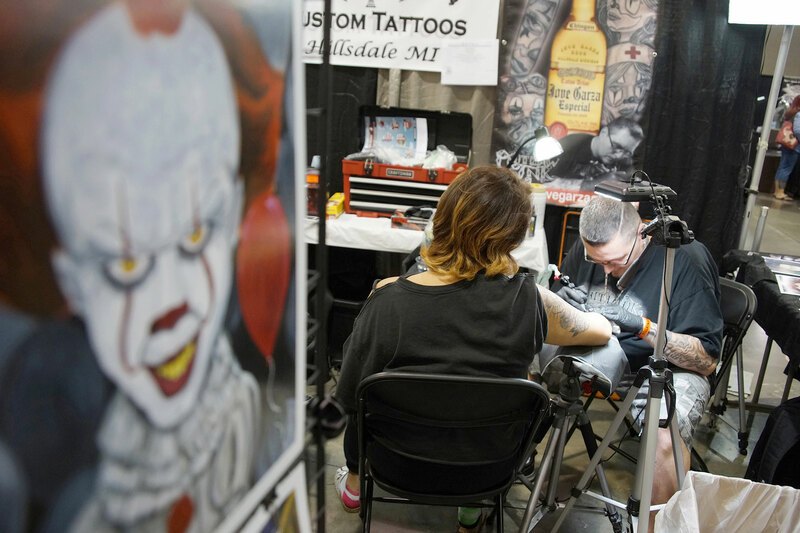 This weekend was tattoo artist Madison McLain second Milwaukee Tattoo Arts Convention. 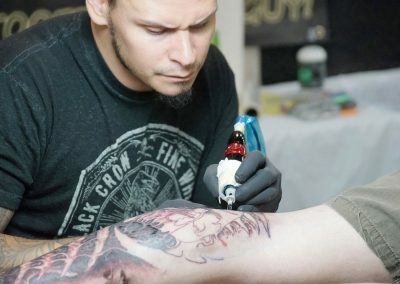 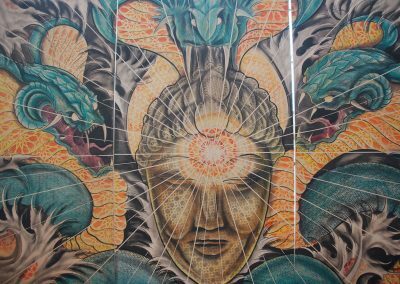 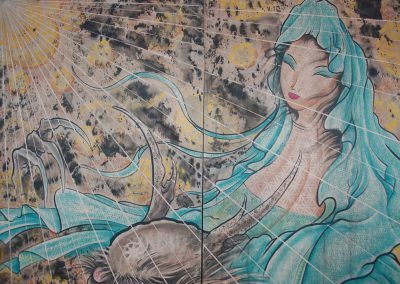 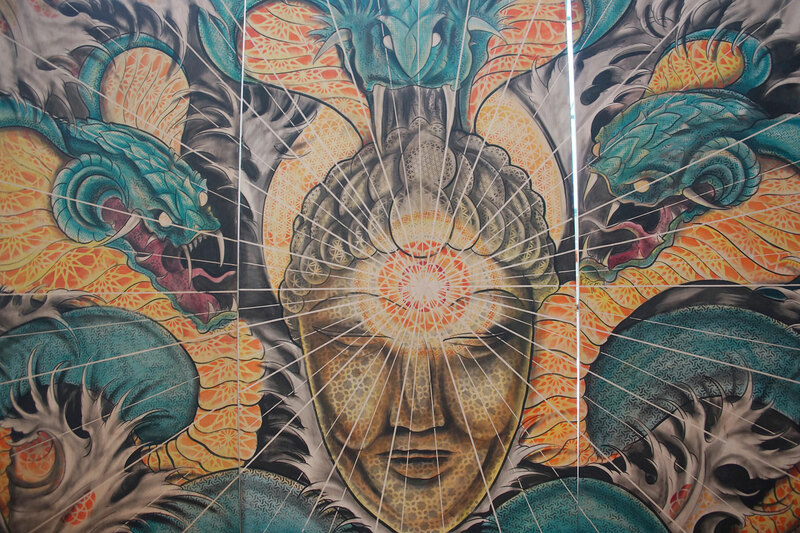 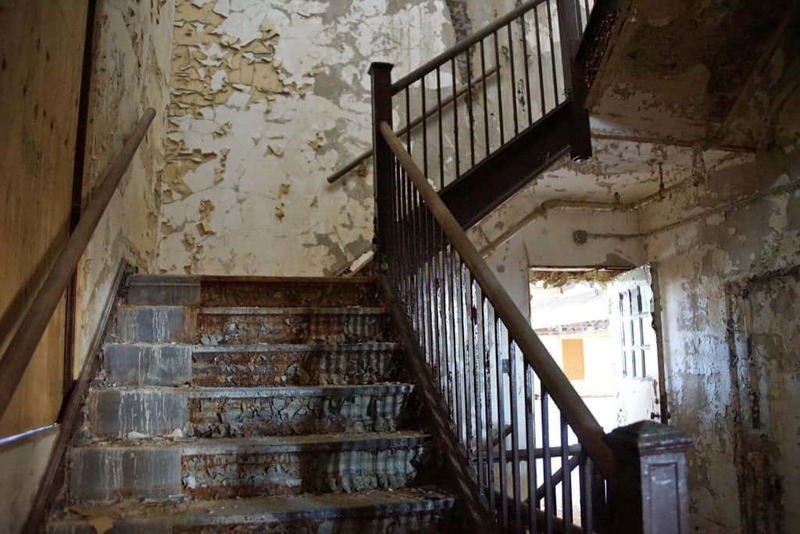 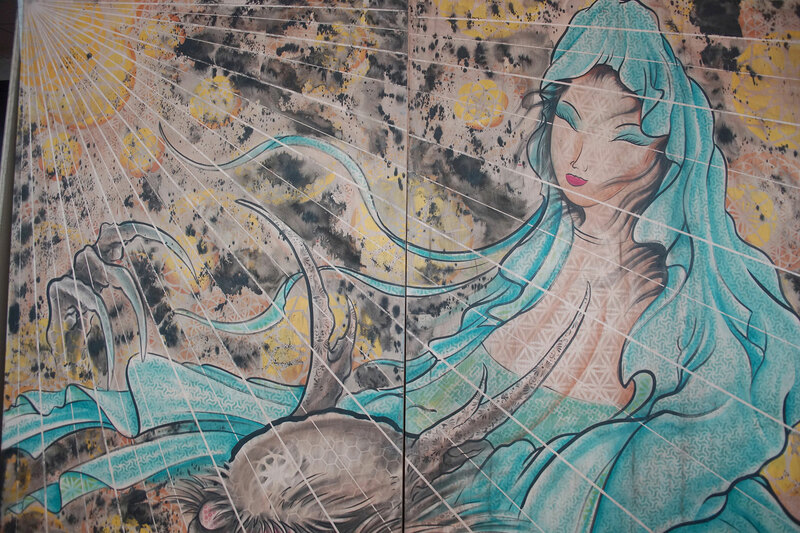 McLain was born and raised in Racine, Wisconsin, and has been tattooing for nearly five years. 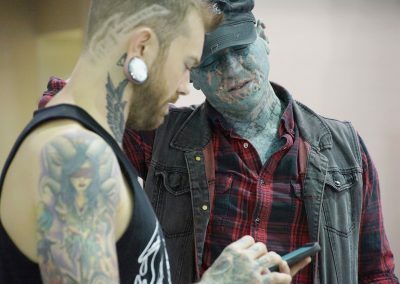 McLain said tattooing is a lot of work, but always becomes worth it in the end. 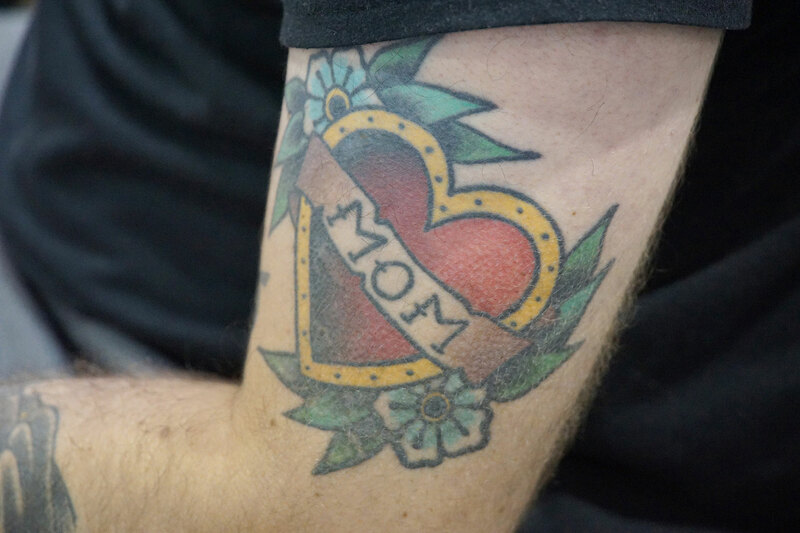 Like Garza, McLain said she couldn’t pinpoint a favorite tattoo she has created. 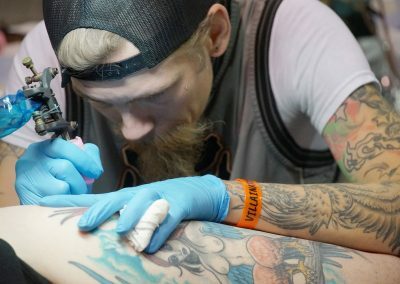 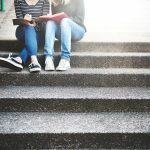 Some people are cautious about getting a tattoo due to the possibility of later regretting the decision, especially as they age. 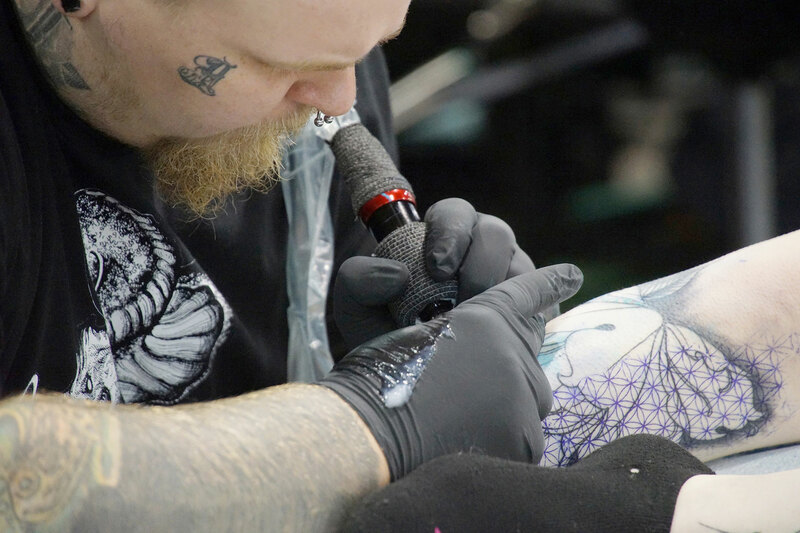 But many artists expressed a common view regarding tattoos: If they’re done right, there should be no regrets. 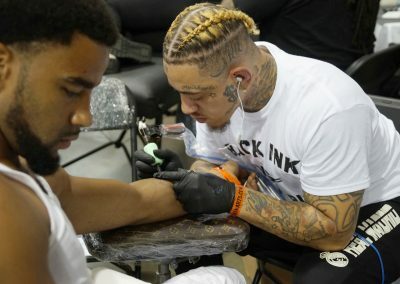 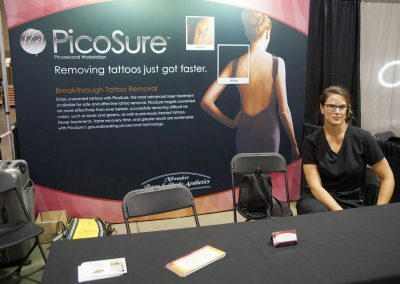 McLain acknowledged the possibility of dissatisfaction with body ink, but said she believes that focusing on the present is more important than worrying about future regret. 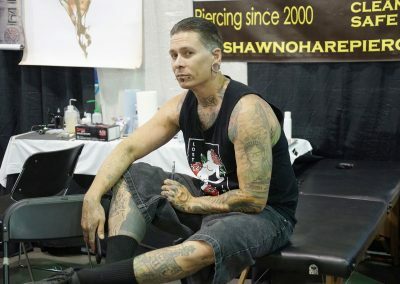 “I think that people that have tattoos probably want to live more in the moment. 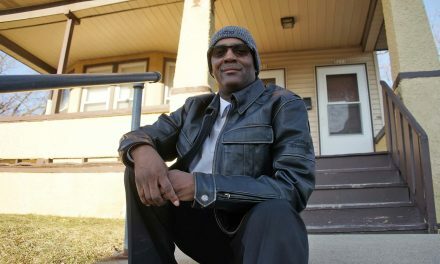 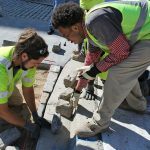 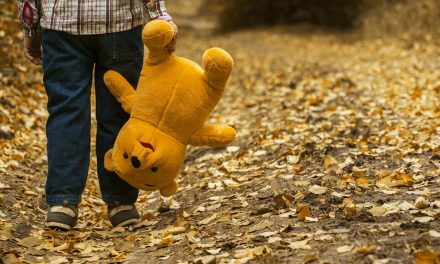 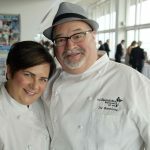 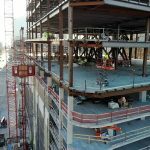 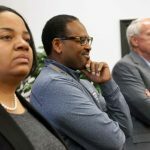 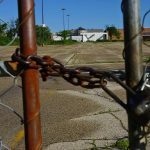 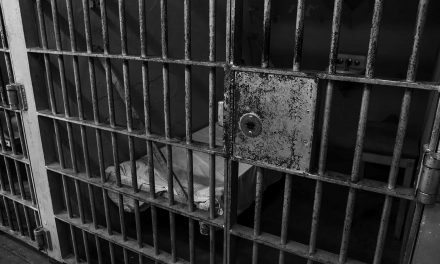 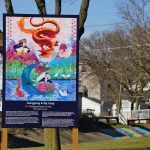 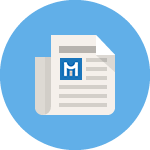 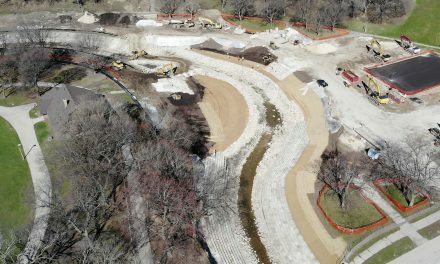 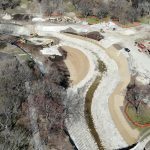 They want to regret doing things rather than not doing things,” said McLain. 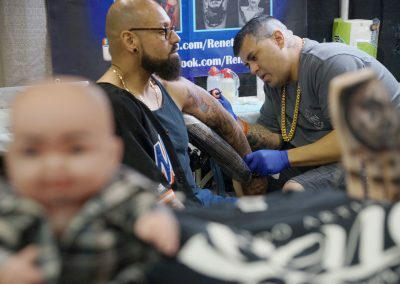 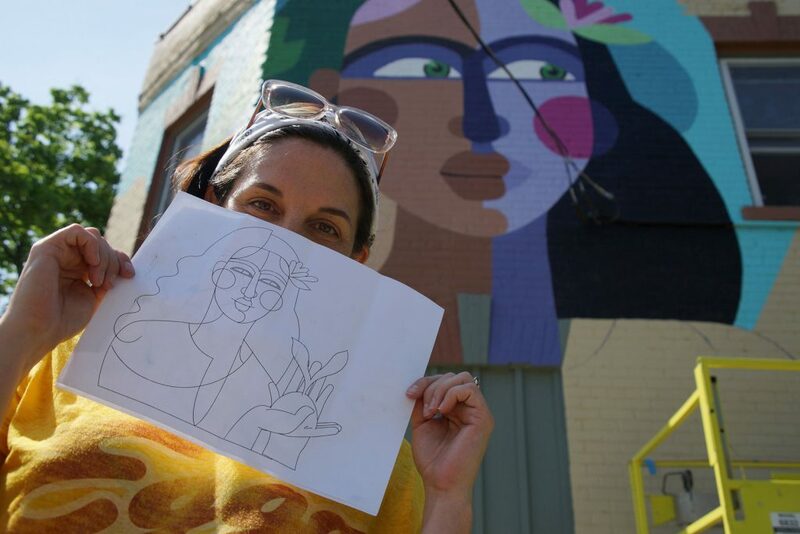 “When you’re old, you’re all saggy and wrinkly and ugly and the only thing you care about is the cool things you did in life and the stories you get to tell about it, so why not be a tattooed, modified bada– when you’re 80?” McLain said. 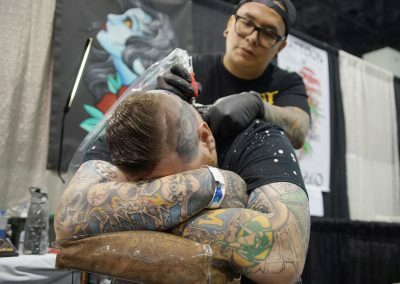 Another hesitation that some people have is about having tattoos that may negatively affect their careers. 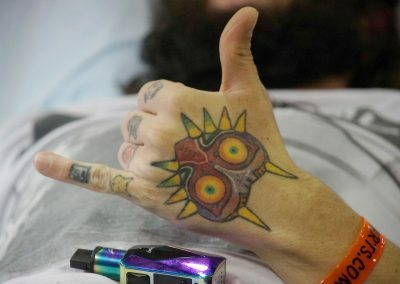 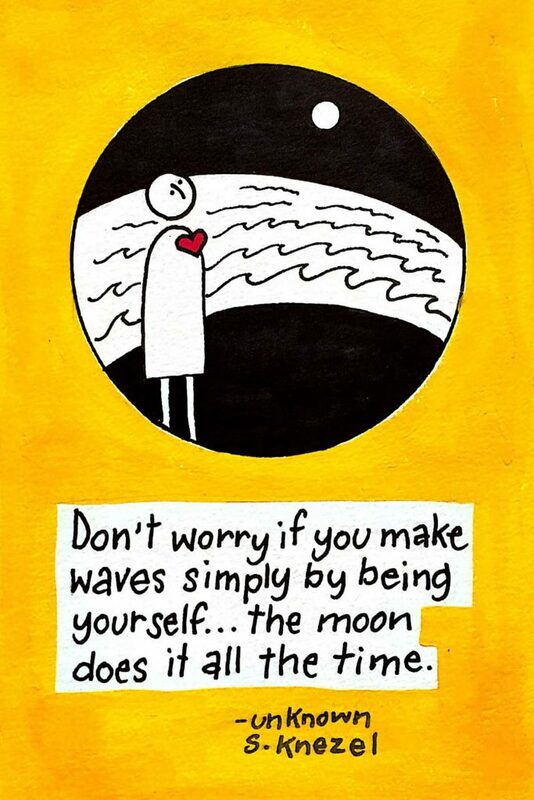 However, Garza said that he does not believe in that criticism. 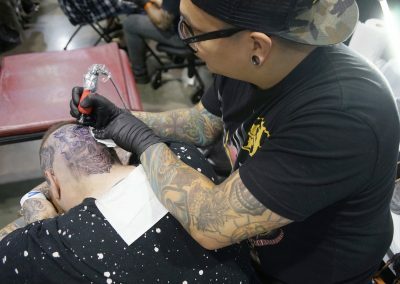 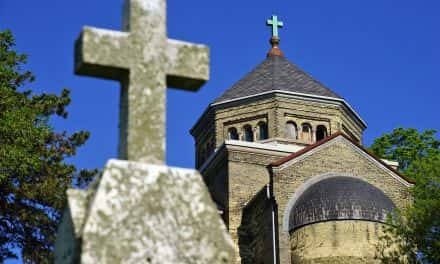 Rosiles said she feels that it is often much easier for men to fit in the workplace with tattoos than it is for women due to men’s ability to easily hide their ink. 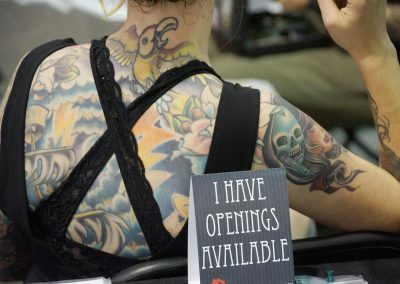 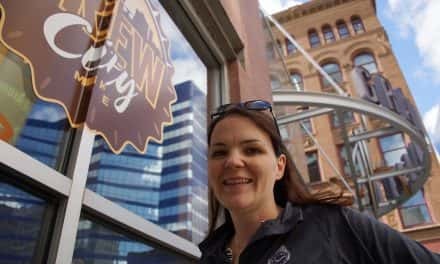 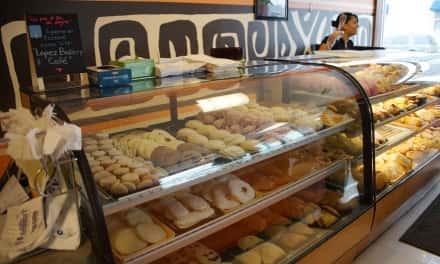 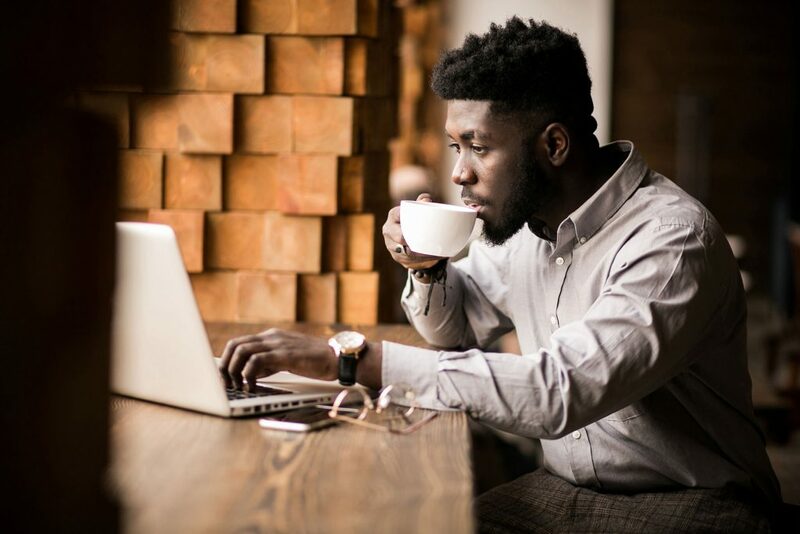 She said women in the professional world are usually expected to dress according to the weather, inhibiting them from being able to conceal tattoos that could be covered with sleeves. 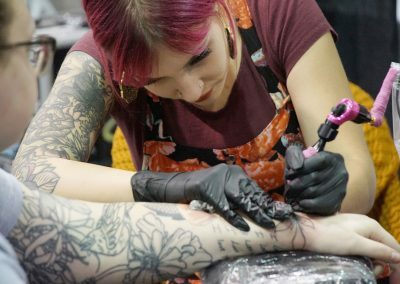 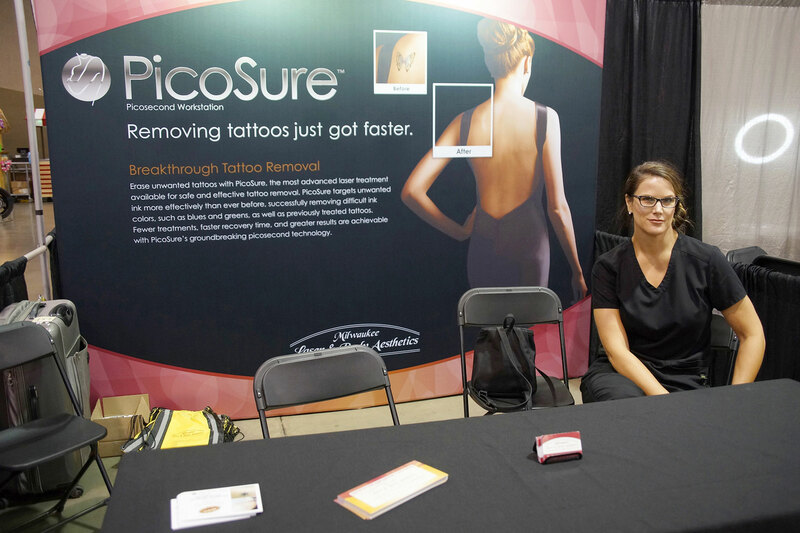 McLain has also had personal experiences to reinforce her beliefs that tattoos do not affect careers. 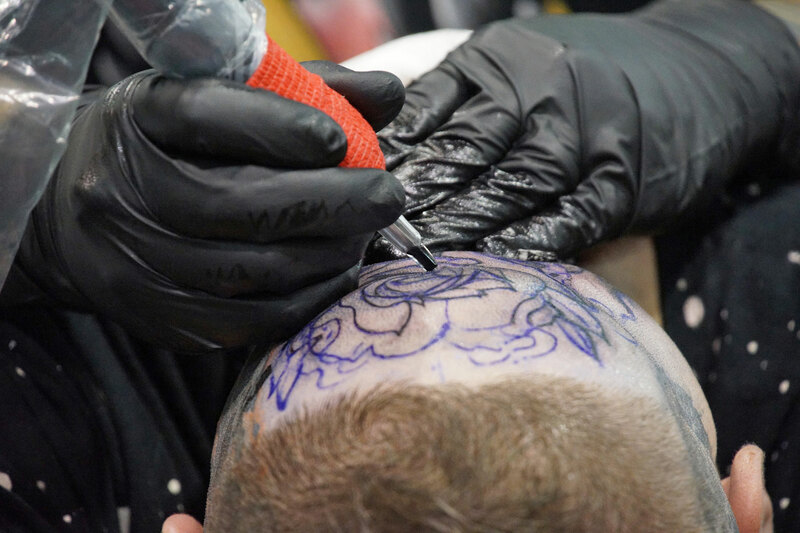 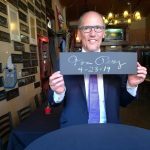 “Before I was a tattoo artist I got hired and promoted into positions that I wasn’t supposed to be in because I had tattoos and I worked really hard and I achieved that despite the way that I look, so that is a really big misconception,” McLain added. 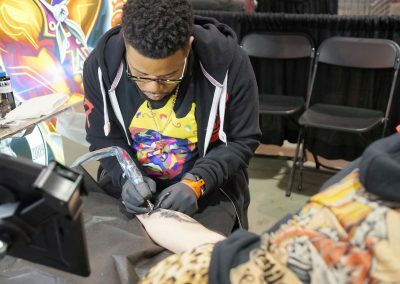 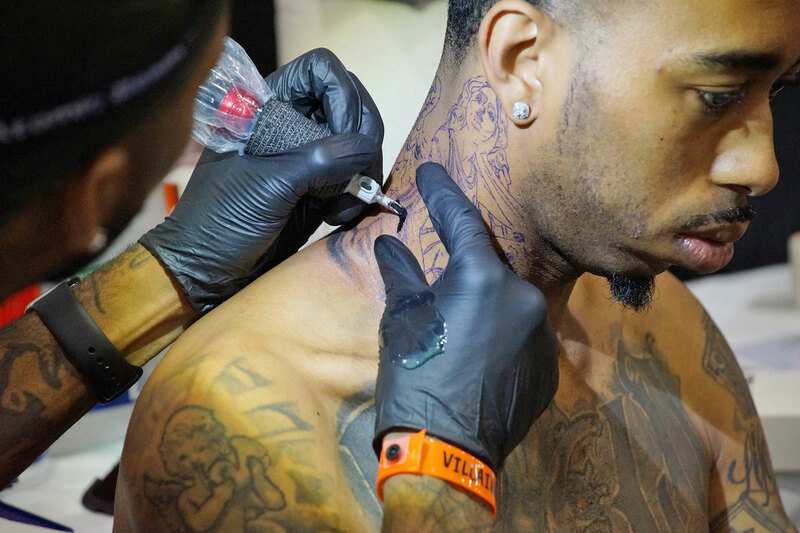 Dunbar said he believes that by wearing art on their body, people will consequently be able to express themselves. 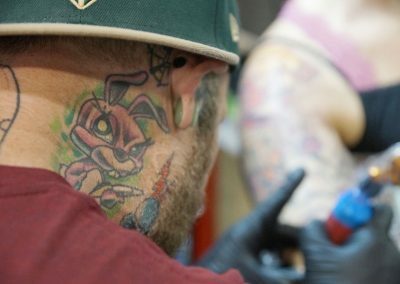 “If you wear your passions on your sleeves … those positive parts of those passions will come and seek you out,” he said. 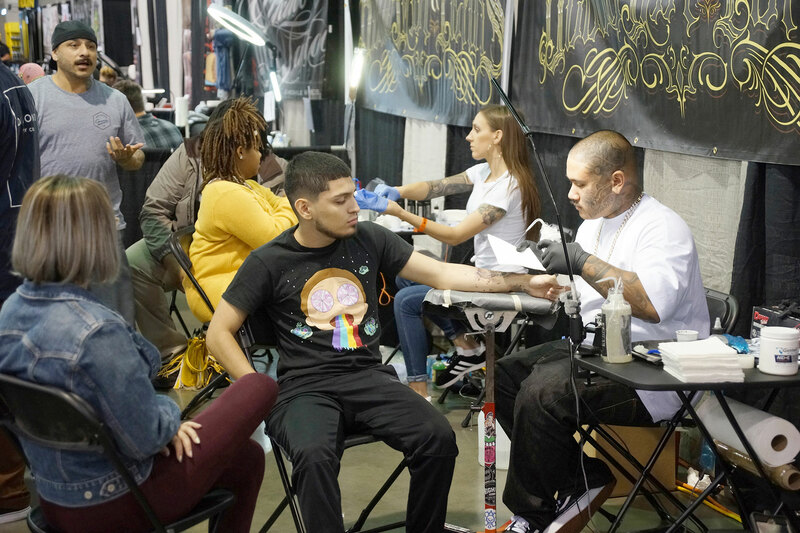 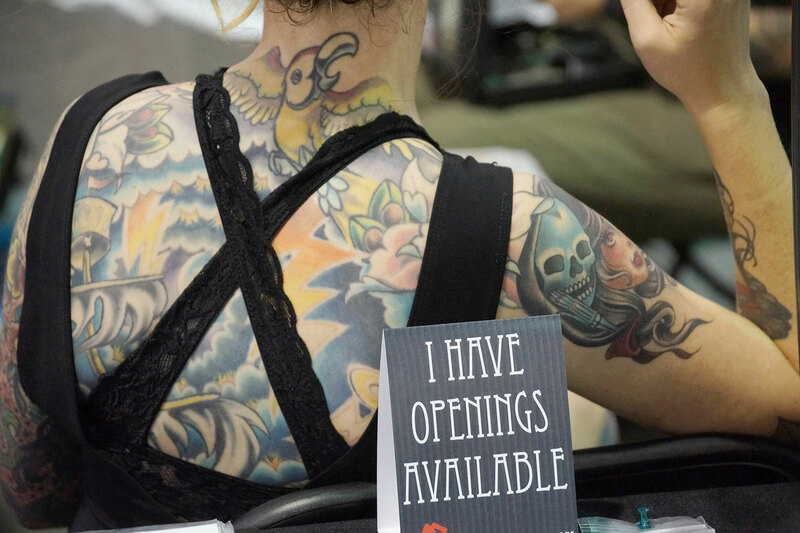 This photo essay features highlights from the event, showcasing contemporary artists that work in the body modification trade of tattooing, and members of the public who choose to host their bodies as a lifelong canvas of fine art.